← Three New Book Covers! The Penguin / Random House website is now linking here! Sort of. That text isn’t clickable. Ah well. 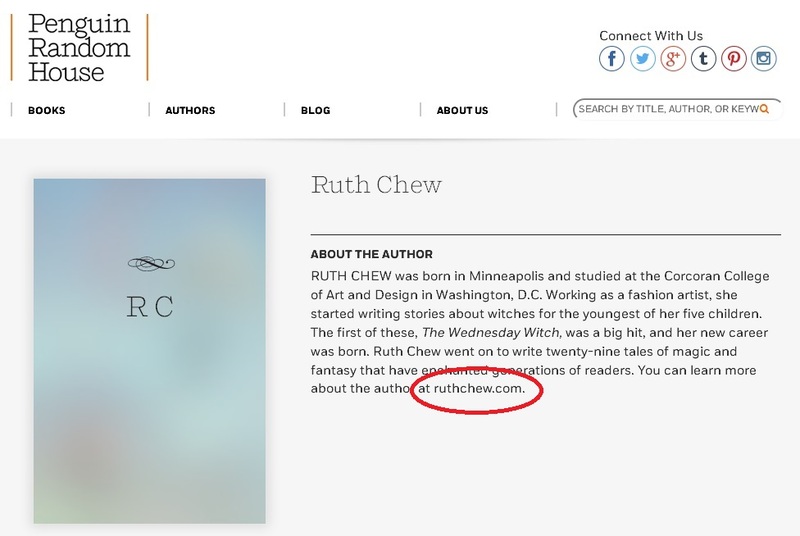 I’m happy as long as ruthchew.com beats Wikipedia (and Amazon and Goodreads) in Google search results. Actually, you know what? I don’t even care about that. I care that the books are reaching a new generation, thanks to Random House.